Now that the freezing weather has passed you may find that as your underground pipes thaw out there is the possibility of bursts. 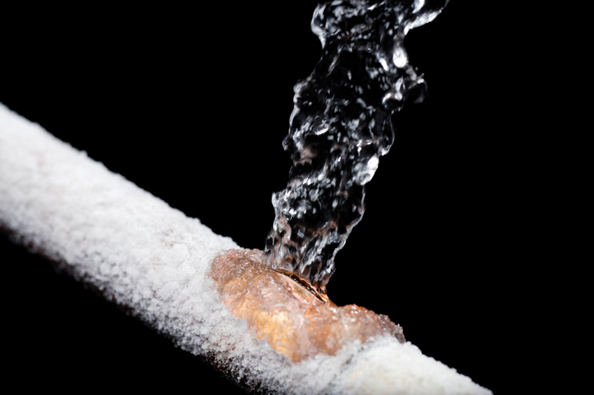 The freezing weather will freeze the water in your underground water supply pipe, or in the pipe leading to your outside tap, causing it to expand, it is only when the thaw happens that the leak becomes visible. If you notice a pool of water, or a particularly icy area on your property, this could very well be the cause. The first thing to do is to call us and we will come and investigate to see if there is a burst on your pipe and give you a quotation to repair it. Our quotations are FREE OF CHARGE.